Today I am here to share with you marvelous ideas on how to wear heels with socks. Fashion is going crazy sometimes! It can either make or break different combinations, telling us what to wear and from what pairings to stay away from. It can be quite hard to know either this or that is trendy or faux-pas. A cozy long black sweater dress looks gorgeous with red socks and brown wedge sandals. 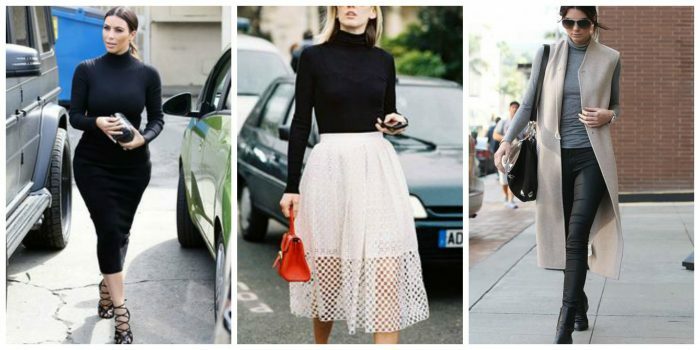 Tight turtlenecks are back in fashion and you better be ready to wear them. In today’s article, I want to share with you best ideas on how to make this top look and feel just right. You might ask me, why should we wear tight turtlenecks anyway? Are they an IT fashion thing right now? 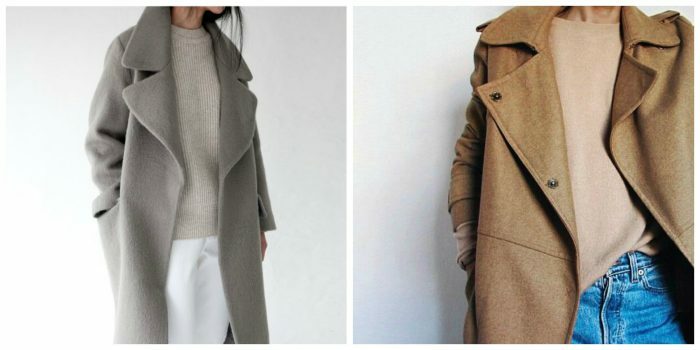 Let’s talk about Fall season must-haves you all can try this year. All the showcased images are taken from damselindior.com. I wanted to say a couple of words about the editor of this site. Her name is Jacey Duprie and I felt in love with her unique style and passion for fashion. You are more than welcome to visit her site and follow her new outfits, lifestyle, travel, and home decor. Anyway, let’s have a look at this year’s Autumn season must-tries. LEATHER JACKET & PLAID PRINT. Yes, fashion still wants us to wear this combo. In the image below, we see Jacey wearing Preen by Thornton Bregazzi ruffled dress in multicolored plaid print, Balenciaga black leather jacket, Manolo Blahnik boots, and Chanel quilted handbag.